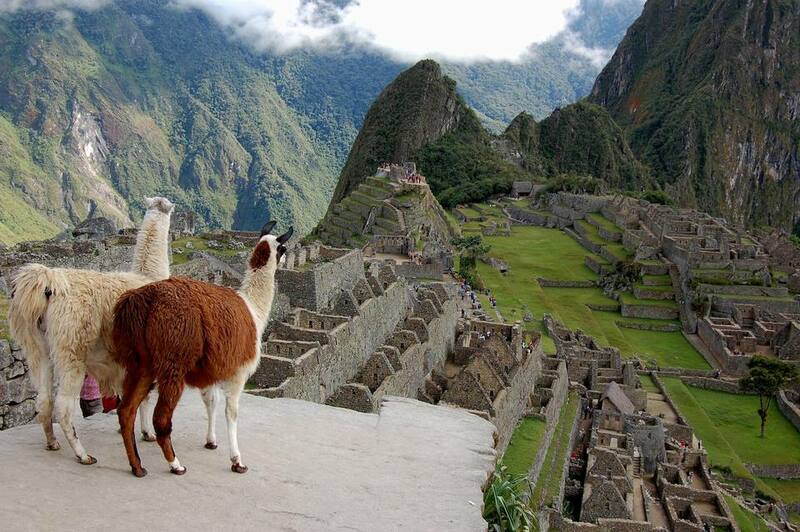 If a visit to Machu Picchu is on your bucket list, then you are not alone. Annually, a half-million people visit each year. If you plan to visit, keep in mind that you will need to set aside some time to get acclimated to the altitude before you plan your trek to the archeological site. No matter how physically fit you are, this UNESCO world-historic site is located at an altitude of 7,972 feet (2,430 meters) above sea level. Cusco, the entry city before your trek to Machu Picchu, is located at an elevation of 11,152 feet (3,399m) above sea level. This is significantly higher than the Incan citadel. Acute mountain altitude sickness typically occurs at heights of 8,000 feet (2,500m) and above, so if you plan on going to Cusco and Machu Picchu, you can be at risk of getting altitude sickness. To reduce your risk of getting altitude sickness, the best thing you can do before traveling around Cusco or Machu Picchu is spending the extra time allowing your body to acclimate to your new altitude before any serious sightseeing. When you are at higher altitudes, the air pressure drops, and there is less oxygen available. When you arrive in Cusco, particularly if you have flown in directly from Lima, you should try to set aside at least 24 hours to acclimate to the new altitude, during which time you should take things easy. Lima is located at sea level, so flying directly from Lima to Cusco involves a significant altitude increase in very little time, giving your body no chance to adapt during the journey. Also, new visitors arriving by plane have the option of visiting nearby towns to Cusco in the Sacred Valley. These towns are at slightly lower altitudes, providing a more gentle form of acclimation before heading back to Cusco. If you take a bus from Lima to Cusco, which is about 22 hours, your body will have a more gradual period of adjustment, and you should be able to handle the altitude in Cusco once you arrive. Huayna Picchu, the peak that looms over the archeological site, rises to a height of 8,920 feet (2,720 meters) above sea level. Once you have acclimated properly in Cusco or in the Sacred Valley, you should have no serious problems with the altitude at Machu Picchu itself. You may still feel breathless while walking around the site, but the risk of altitude sickness will be minimal. If you feel winded while walking up the numerous stone steps at Machu Picchu, do not worry; it's perfectly normal. Usually, you can spend hours freely roaming around most of the site. Wardens may make you move along in certain areas, but there is no need to rush. Machu Picchu is open from 6 a.m. to 5 p.m., so you should have plenty of time to explore at your leisure. If you are with a tour group, they should give you at least an hour for independent exploration after the guided tour. If you do start to feel symptoms of altitude sickness while at the site, tell your guide or seek medical attention immediately. These symptoms include a headache, dizziness, nausea, vomiting, fatigue, shortness of breath, sleep problems, or a decrease in appetite. Symptoms usually come on within 12 to 24 hours of reaching a higher elevation and then get better within a day or two as your body adjusts to the change in altitude. Do not forget to take a bottle of water, a hat, sunscreen, and a waterproof jacket or poncho with you to Machu Picchu. While Machu Picchu's elevation can leave you slightly breathless, preparing for the capricious weather at the site is arguably just as important.